Find food events in Other, CA and other fun things to do. View our list of attractions, activities, events, restaurants and visitor information. 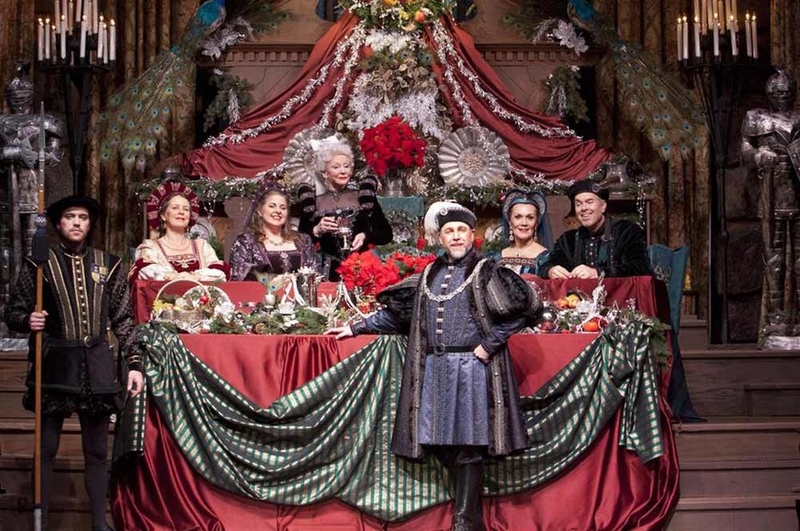 Old English Era hall filled with Christmas festivities Yosemite's Holiday Tradition Celebrated annually since 1927, the renowned Bracebridge Dinner transforms The Majestic Yosemite Hotel’s Dining Room into a Old English-era hall filled with Christmas festivities. Dine and Discover ~ Feathers, Flowers and Fire Springtime in Yosemite means songbirds and spectacular wildflowers. Kick off this weekend of birding and botany by enjoying evening hors d’oeuvres al fresco in Foresta while learning from a Yosemite wildlife expert. Dine and Discover ~ Full Moon Hike to Taft Point - Trip 1 Spend an entertaining and educational late-spring Saturday evening at an iconic viewpoint off Glacier Point Road. Dine and Discover ~ Full Moon Hike to Taft Point - Trip 2 Spend an entertaining and educational mid-summer Tuesday evening at an iconic viewpoint off Glacier Point Road. Amazing California wines, and cuisine Join California’s most renowned vintners as they come together this fall in Yosemite to share some of their most acclaimed wines. You’ll have plenty of opportunities to chat with the vintners as you sample their latest vintages and perfectly-aged selections. Renowned chefs, exceptional cuisine in Yosemite National Prk Special Tastings and Wine Pairings America’s most renowned chefs come together at The Majestic Yosemite Hotel to share their cuisine at an exceptional event. Father's Day BBQ celebration Dad's favorite meal for Father's Day - Tenaya's Summerdale BBQ. Two nights of amazing food and locally crafted beer. Tenaya Lodge at Yosemite and South Gate Brewing presents: High Sierra Hops At Tenaya Lodge at Yosemite on May 31 - June 1, 2019 Join us for two nights of chef-inspired food and incredible locally-brewed beer. Chili Cook Off - Joining Chili Cookers and Chili Lovers! Join the Twain Harte Area Chamber for its third annual Memorial Day Weekend Chili Cook-Off! This event will be held on Meadow Lane in Twain Harte – in front of Sierra Cellars, behind 7-11, on Saturday, May 25, from 10 am to 3:30 pm. Variety of small lot winds, artisan foods, live music. Tenaya Lodge and our local vineyard, Idle Hour Winery, invite you to a low-heels, no-tie-required event featuring a variety of small-lot wines, artisan foods and live music by local artist.